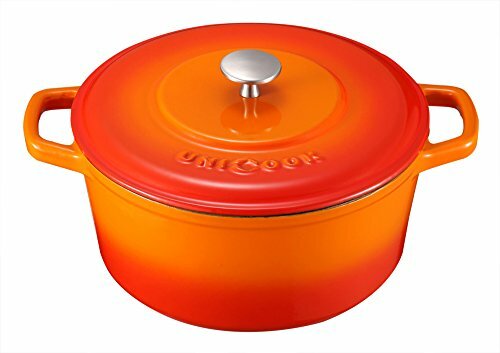 Unicook Dutch Oven is designed to enhance slow cooking through gentle, even heating, locking moisture for tender, succulent braises and stews. 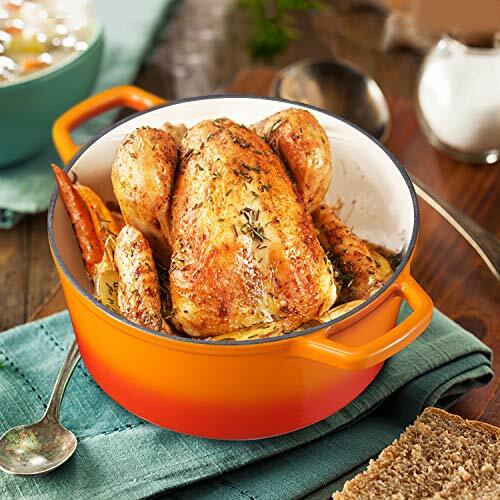 Though dutch ovens can appear in stainless steel or other materials, only cast iron dutch ovens work properly, enamel-coated cast iron as it will not only absorb, distribute, and retain heat evenly and efficiently but it’s rust-proof and easy to wash to boot. 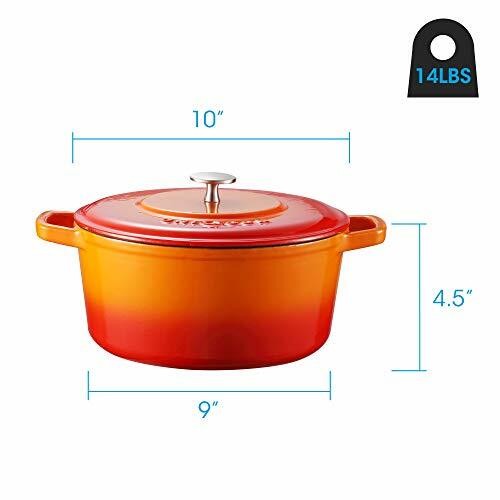 The enamel coating makes the pot dishwasher-safe and freezer-safe, and it won’t react with tomatoes or other acidic ingredients. 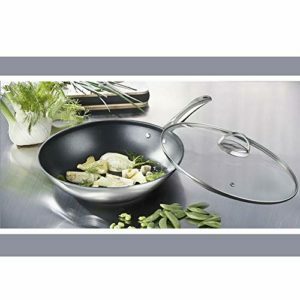 ► Ideal for use on any cooktop, including induction. 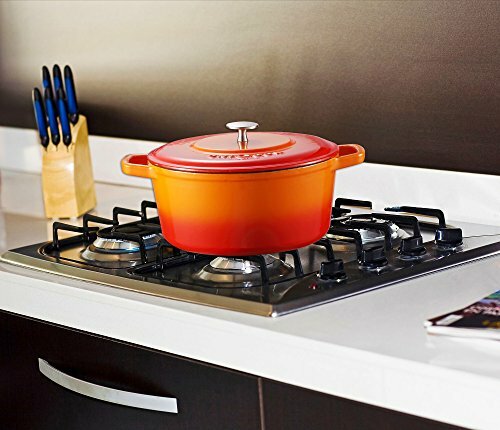 ► For best results, use low to medium heat on cooktop. 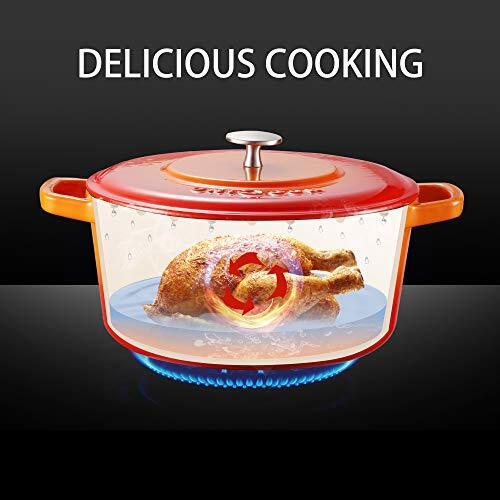 ► Oven and broiler safe up to 450°F. 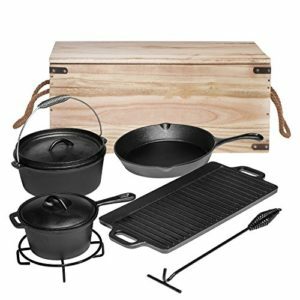 ► Use wood, silicone or heat-resistant nylon tools to avoid scratching the enamel surface. 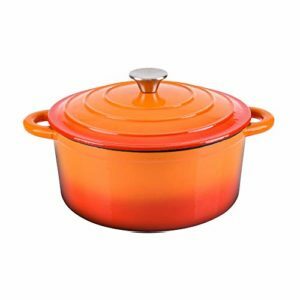 ► Do not slide pan on stovetop. 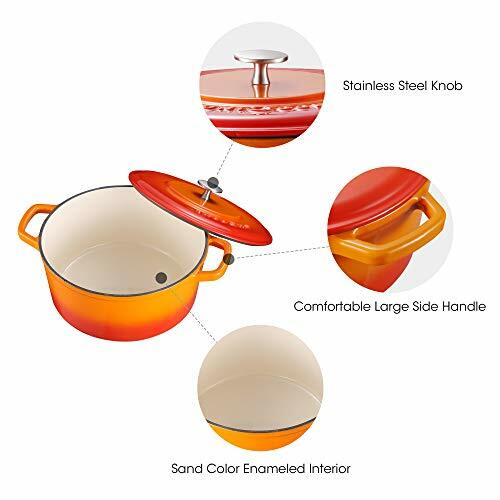 ► Enamel can chip or crack if dropped or banged on hard surface. ► Allow to cool before washing. 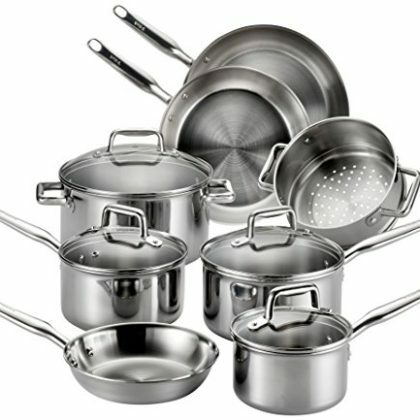 ► Avoid using steel wool, steel scouring pads, harsh detergents or abrasive cleansers. 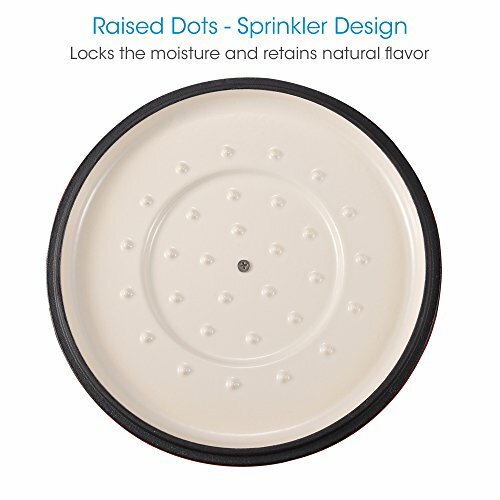 ► Stubborn food residue and stains can be removed with a nylon scrubbing pad or sponge. ► Please do not put it in microwave. 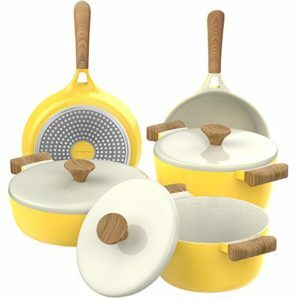 ► Please use gloves or oven mitts to protect hands from hot cookware and knobs. 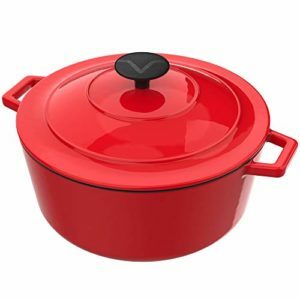 ► Please do not heat an empty pot or allow a pot to boil dry as it may cause permanent damage to the enamel.